Dr. Cordell Esplin graduated the medical school from University of Utah School of Medicine and did his internship at University of Hawaii. He completed his residency program at Massachusetts General Hospital and is now both specialized and board certified in Diagnostic Radiology. 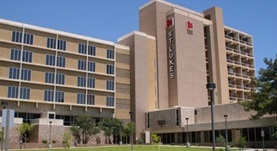 Dr. Esplin has been in practice for more than 20 years and is affiliated with St. Luke's Medical Center. During his career, he has also published three writings of medical interest in collaboration with other doctors. Dr. Cordell Esplin has contributed to 3 publications. Percutaneous Kimray-Greenfield filter placement by femoral vein puncture. Denny, D. F., Cronan, J. J., Dorfman, G. S., Esplin, C.; AJR Am J Roentgenol. 1985 Oct 01. A method for radiologic-assisted gastrostomy when percutaneous endoscopic gastrostomy is contraindicated. 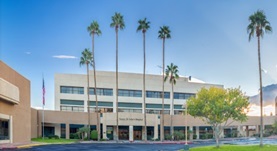 Rosenzweig, T. B., Palestrant, A. M., Esplin, C. A., Gilsdorf, R. B.; Am J Surg. 1994 Dec.
Pseudo-ureter: a complication of percutaneous nephrolithotripsy. Cronan, J. J., Dorfman, G. S., Esplin, C. A.; Br J Urol. 1988 Apr.